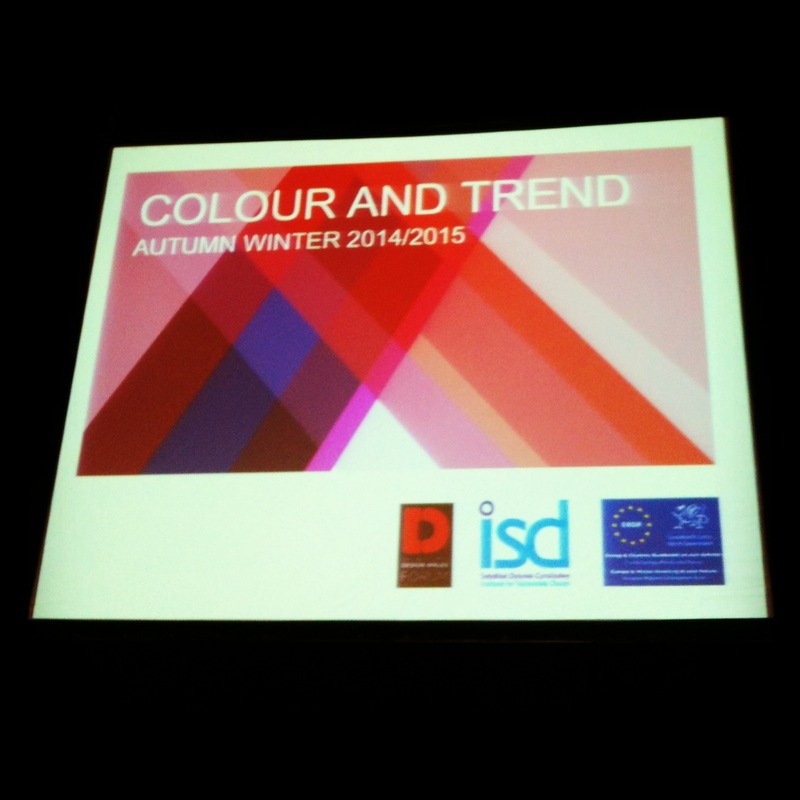 Hosted by Design Wales, The Wales Millennium Centre in Cardiff Bay was the venue earlier today of The Colour & Trend conference for Autumn Winter 2014/15. 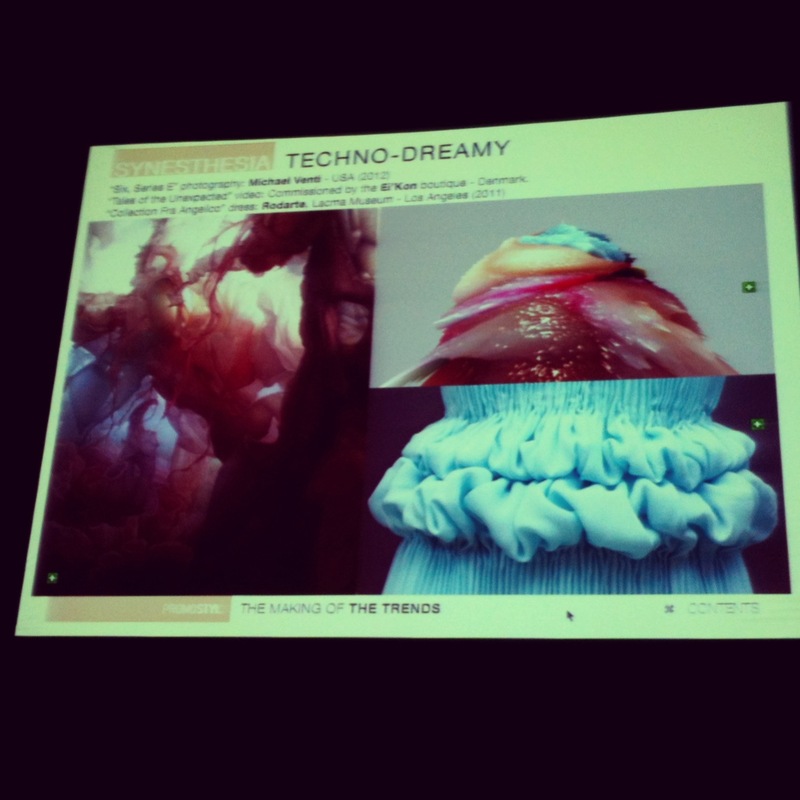 Presented by Matthew Jeatt of Promostyl, the meeting space was rammed to the hilt with delegates that were a mix of creatives, fashion professionals, industry heads, student and us, Curated Futures. 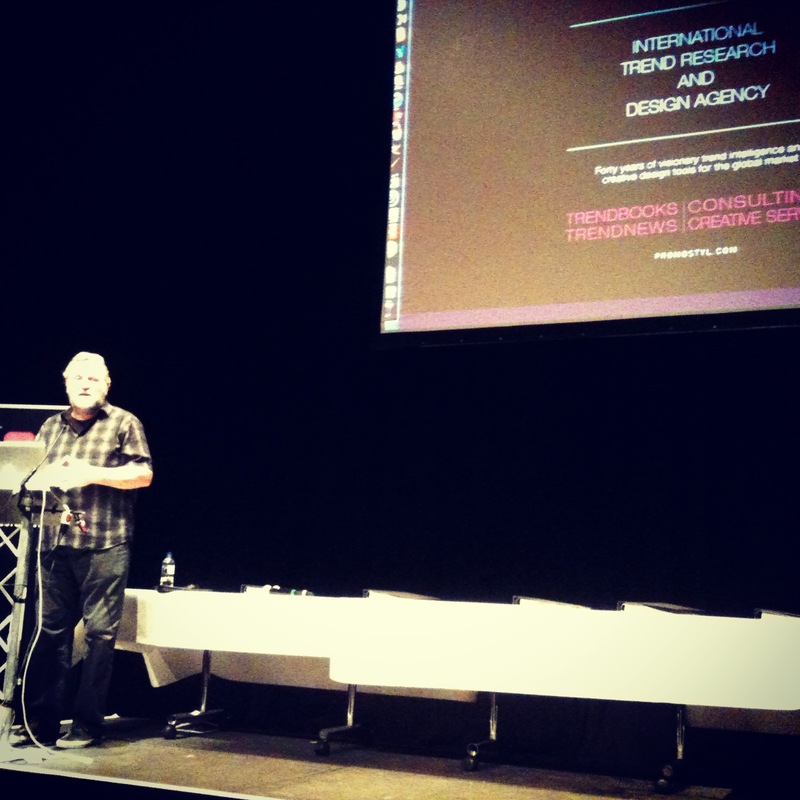 Tags: autumn winter 2014/15, Cardiff, Colour & Trends, Design Wales, Design Wales Forum, Fashion, Matthew Jeatt, Promostyl, Trends, Trendwatching, Wales Millenium Centre, WMC. Bookmark the permalink.